Pitching a tent can be very exhausting, especially if you arrive to the location tired and that’s the last thing on your mind. 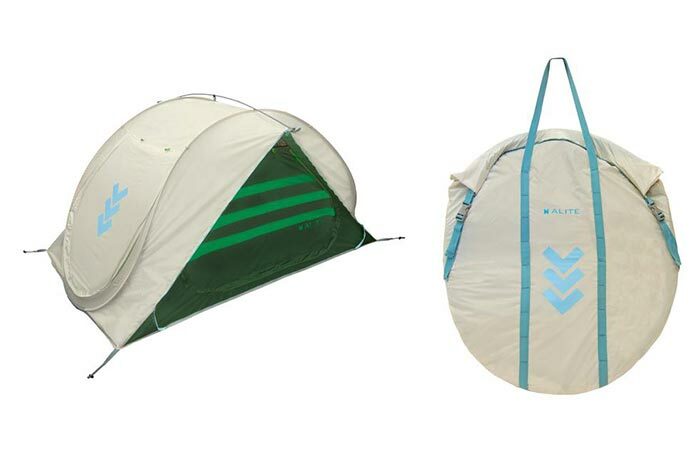 Alite Designs created a Sierra Shack Tent that’s super easy to set up, thanks to its pop-up design. The Sierra Shack Tent uses just one pole, in order to stabilize the tent. Basically, setting it up will take only a couple of minutes, so you can quickly get on to your other outdoor tasks. The tent is very durable and you can use it for different weather conditions. Another thing that proves its durability is polymer and mesh material construction and that it’s waterproof. And, of course, the fact it comes with a lifetime guarantee. 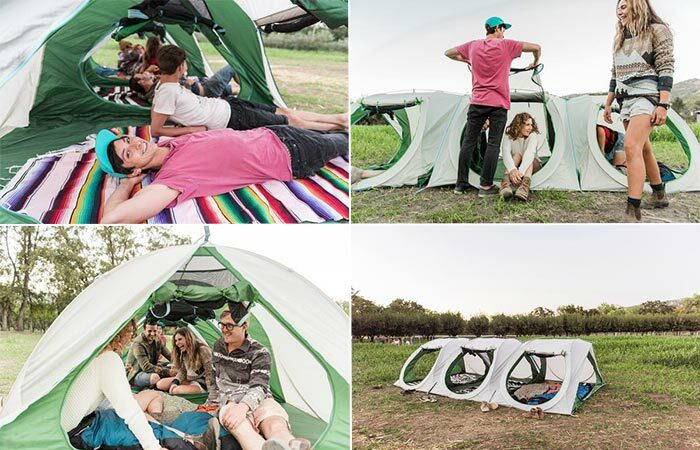 With a pop-up design, The Sierra Shack Tent can be set up in just a few minutes and it uses just one pole. The Sierra Shack Tent is great for friends because it allows you to zip together a couple of tents, with each being like a separate room. This way, you get one big tent with plenty of doors, for many friends. As for the dimensions, it’s 4 feet high and has a 7 by 4.8 foot floor, weighing 6.75 lbs. 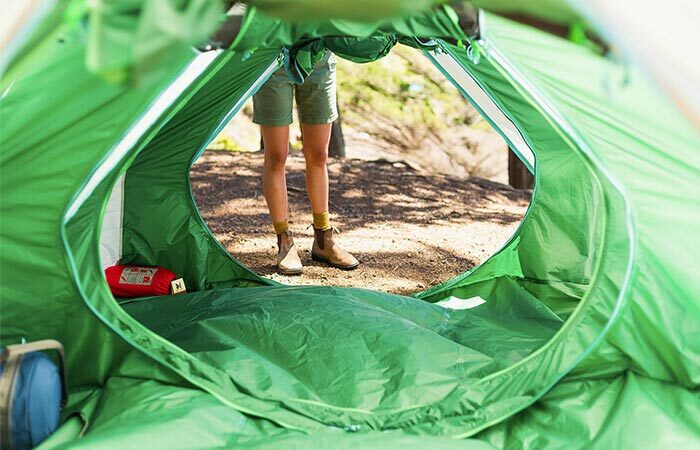 The Sierra Shack Tent can be zipped together with more tents, to make one big tent. It’s great for a couple of people to share it since each compartment has a separate door.